MILAN -- Fiat Chrysler Automobiles said it will spin off its Magneti Marelli parts business by the end of this year or early next year. "The separation will deliver value to FCA shareholders, while providing the operational flexibility necessary for Magneti Marelli’s strategic growth in the coming years," FCA said in a statement on Thursday. FCA CEO Sergio Marchionne said the spinoff will allow the automaker to focus on its core portfolio and strengthen its capital position. "A separation of FCA and Magneti Marelli is a key ingredient of the 2018-2022 Business Plan which will be communicated in June," Marchionne said in the statement. FCA said the spinoff will be subject to regulatory approvals and final approval by Fiat's board of directors. Shares of Magneti Marelli are expected to be listed on the Milan stock exchange, FCA said. FCA's advisers initially looked at a possible initial public offering for the business to raise cash to cut FCA's debt, but the Agnelli family - FCA's main shareholder - were put off by low industry valuations and did not want their stake in Magneti Marelli to be diluted, three sources close to the matter told Reuters last month. Thursday's statement said shares of a new holding company for Magneti Marelli will be distributed to FCA shareholders. Magneti Marelli has often been touted as a takeover target and FCA has fielded interest from various rivals and private equity firms over the years. South Korea's Samsung Electronics made a bid approach in 2016 but negotiations fell through as it was only interested in parts of the business, other sources have said. 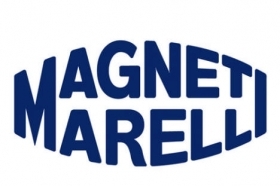 Magneti Marelli may be valued at about 5 billion euros ($6.1 billion) including debt, Bloomberg reported last month. Bain Capital has sought to buy its businesses including the lighting division, and U.S. rival Tenneco has shown interest in some or all of Marelli's assets, sources told Bloomberg. Brembo, which supplies brakes for Ferrari's Formula 1 race cars, has discussed buying some Marelli assets, working with a group of Italian investors, they said. Marelli was founded in 1919. The supplier produces automotive lighting systems, powertrain components and engine-control units, along with electronic systems, suspension systems, shock absorbers and other components and modules. It employs about 43,000 people. A spinoff would be in keeping with a global trend by suppliers to become more specialized amid the move to electric and self-driving cars. Delphi divided last year into vehicle-propulsion systems producer Delphi Technologies and Aptiv, which focuses on connected and autonomous cars, while German tire and powertrain maker Continental said in January that it is mulling a possible revamp. Marchionne has already turned Fiat Chrysler's CNH Industrial unit, which makes trucks and construction equipment, and the Ferrari supercar division into separately traded companies as he seeks to focus on automaking. Magneti Marelli is No. 28 in the Automotive News ranking of the top 100 global suppliers with worldwide sales to automakers of $8.23 billion in its 2016 fiscal year.